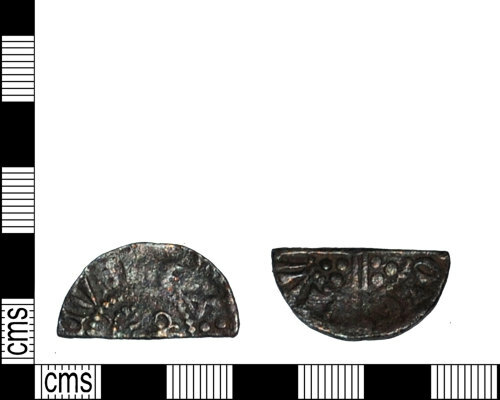 A silver Henry III voided long cross cut halfpenny of class 3c minted by Nicole of Winchester, date is 1249-50 AD. The length is 18mm, the width is 13mm, thickness and the weight 0.73g. Medieval silver voided long cross cut halfpenny of Henry III. Moneyer Nicole, probably London or Canterbury mint, class 3 1249-50.